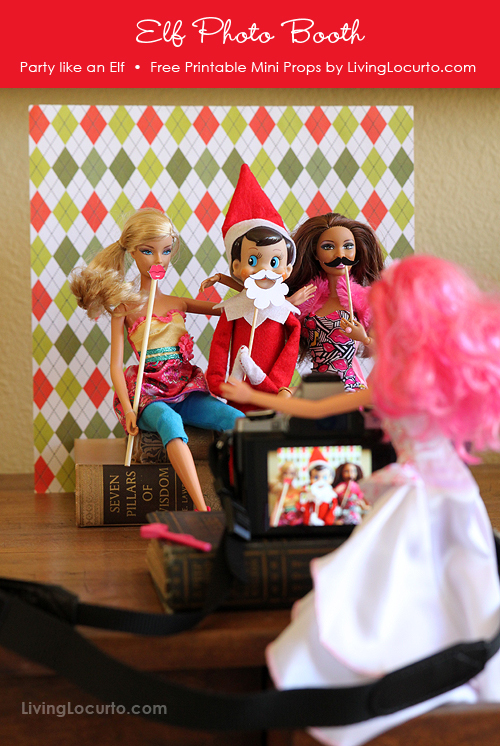 It seems like every time you turn around, there's another Elf on the Shelf idea on Pinterest. Most of them I just cruise on by, but when I saw this Elf on the Shelf Photo booth idea from Amy at Living Locurto, I just had to stop and laugh. What a great idea! It almost makes me wish I had a little elf to go and play with!